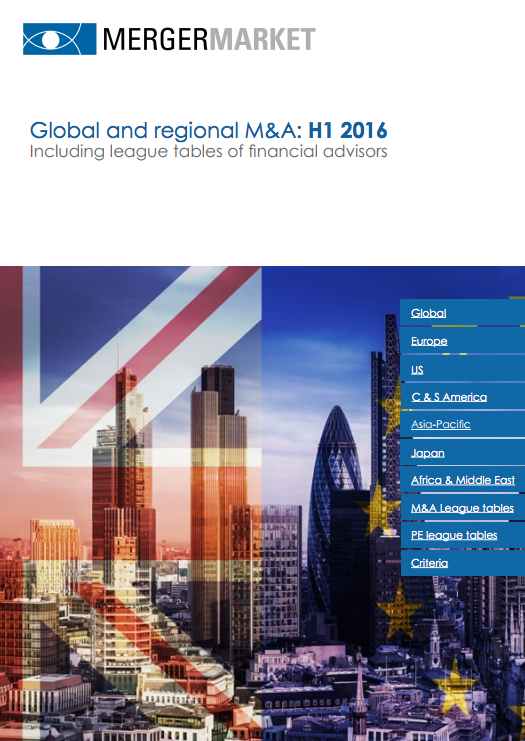 Mergermarket’s H1 trend report shows an uncertain environment caused by the UK’s referendum on European Union (EU) membership and US elections negatively impacting M&A activity setting global M&A back 26.8% compared to H1 in 2015. China made four of its largest outbound acquisitions on Mergermarket record, buying quality over quantity- with deals amounting to a total value of US $ 67.1bn. Goldman Sachs leads the advisor rankings, having advised on 123 deals worth US $ 424.4bn.